To begin the 2009 Fayetteville Chirstmas Bird count properly, I decided to tag along with the early morning crew. I found myself driving towards a farm at 5 am to find what would be the first bird of the day, a Great Horned Owl. Here, a CBC participant waits quietly in the dark, hands to her ears, listening for the call of a Screech Owl. 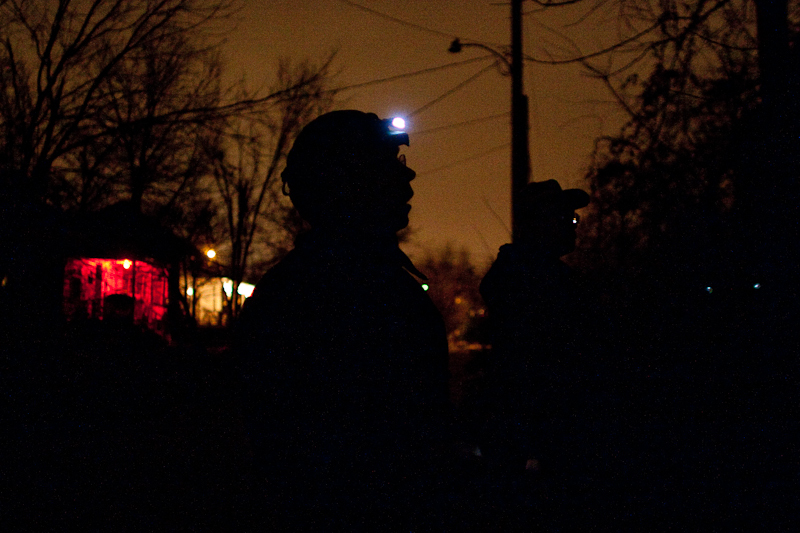 Local Audubon chapter leader Joe Neal points his head light towards the trees. He's just called in a Screech Owl, now sitting on a branch no more than 20 feet from us. Good list-keeping is of the utmost importance on the Christmas Bird Count. 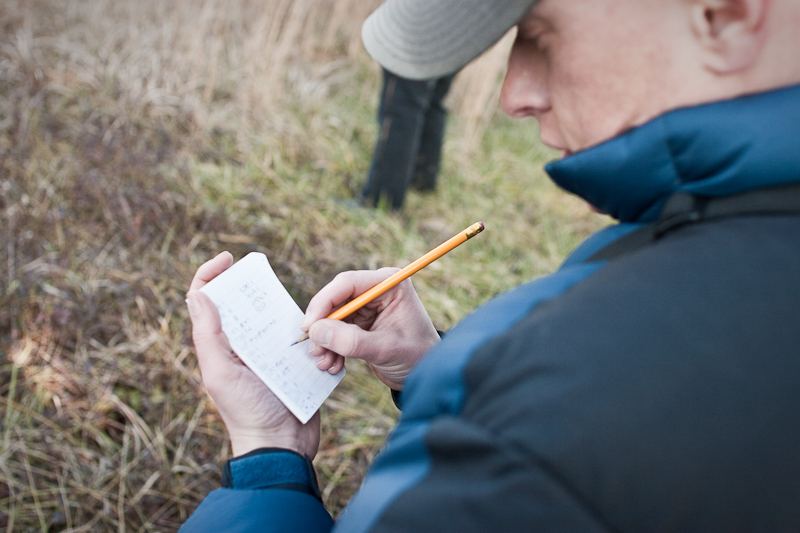 Each team uses this list with all the possible species they might encounter, keeping tallies of each sighting. 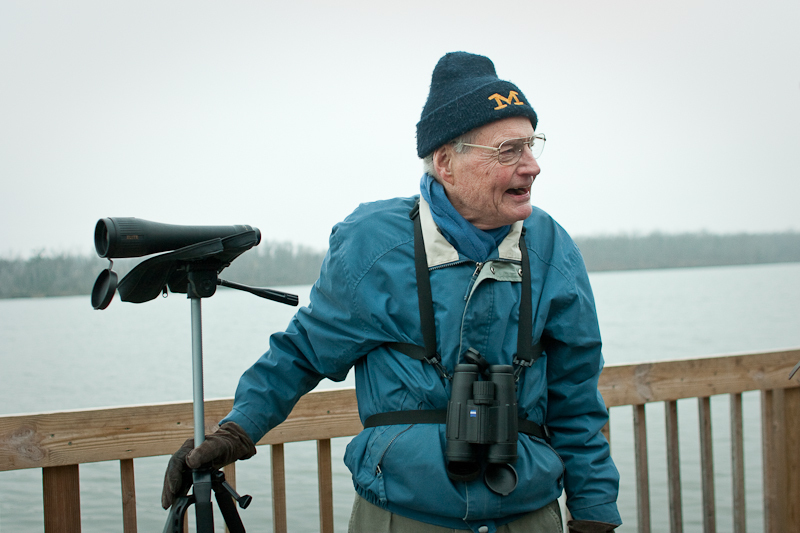 Local birding legend Doug James warms the mood of a bitter cold morning with a joke. 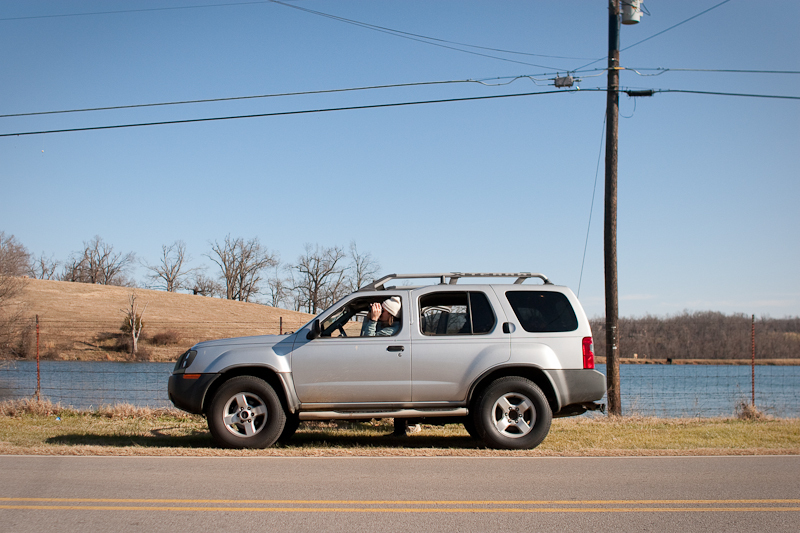 With some groups birding in strange or conspicuous locations, passers-by often slowed their vehicles to ask questions, or simply give strange looks. 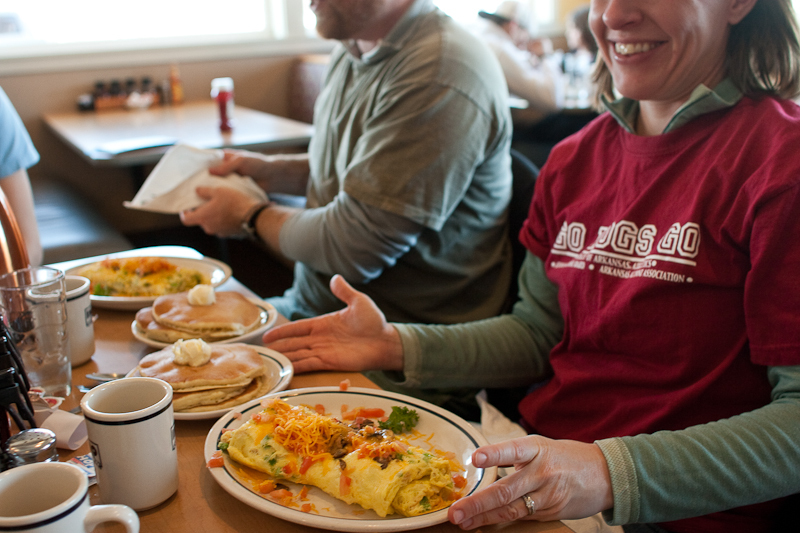 No morning of birding is complete without a quick stop for some light breakfast. When you see an interesting bird while driving, it is wise to pull off the road, safely out of the way of traffic before raising binoculars to your eyes. Getting out of the drivers seat, however, may be unnecessary. Trash dumps attract some birds by the thousands. No Christmas Bird Count is complete without a visit to a dump because you just never know what you'll find. 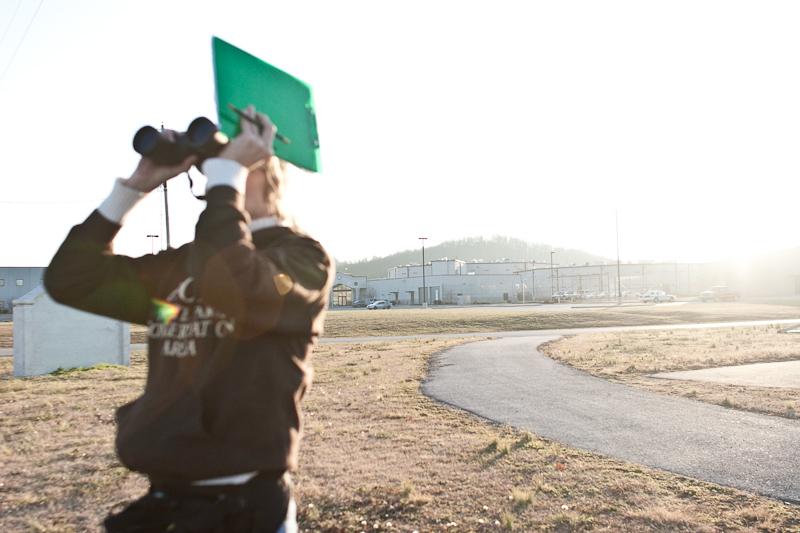 Good birding spots can be found all over Fayetteville, even right next to our prison. Most birders carry with them a field guide for quick reference to confirm tough identifications. The Sibley Guide to Birds (shown here) is a favorite for many. After a long, cold day of birding, all the participants are invited to a count party to compare notes and tally numbers. Doug James (left) and Joe Neal (right) literally wrote the book on Arkansas Birds. (It's called "Arkansas Birds." Look it up.) With a lifetime of knowledge built on careful observation and experience, these two men know our local natural surroundings in a way that few do. The rare value of this kind of wisdom cannot be overstated. I wrote this piece for the Fayetteville Flyer, a local news site in my hometown. 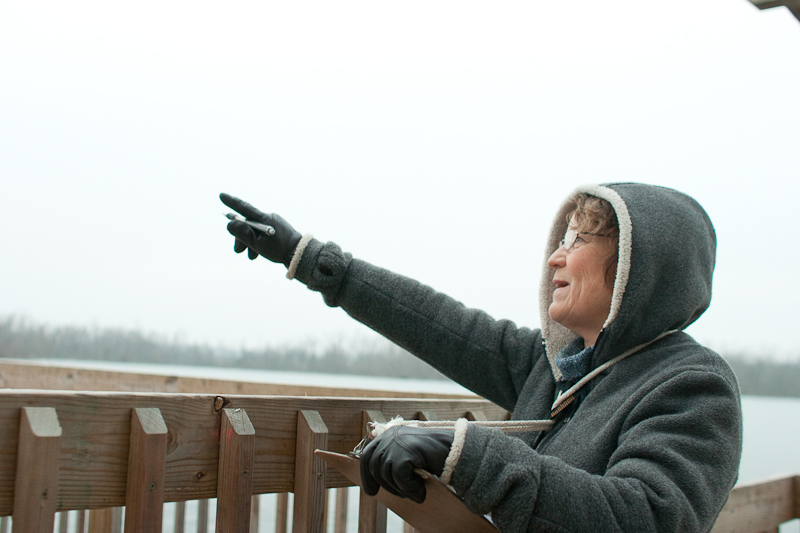 The primary purpose of the piece was to introduce the site's readers to the Annual Audubon Christmas Bird Count and attract new participants. The piece is written informally, with a bit of humor that highlights the quirky sub-culture of bird enthusiasts that keep this century-long tradition alive. I spent the entire day chasing different groups around the region and the photos cover the entire day chronologically from the pre-dawn owl hunt to the evening final tally. The photos alone offer a fun glimpse into this word of birders, but the accompanying essay offers more context about the greater purpose that motivates such extreme behavior.